Skills and not country of origin? Skills, or access to capital? the ongoing importance of a migrant’s country of origin in line with political expediency. In short, the new system will aim to “attract the brightest and best to a United Kingdom that is open for business,” but will, in reality, attract the richest migrants, highest earners and create parallel rules for numerous types of migrants, dependent upon the trade deals struck in a post-Brexit world. 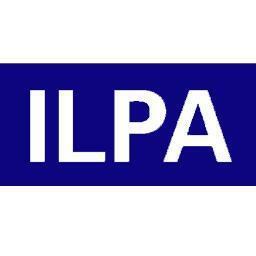 This article will therefore seek to scrutinise the main aims of the White Paper, and highlight ILPA’s concerns. The key message regarding post-Brexit migration is that “Everyone will be required to obtain a permission if they want to come to the UK and to work or study here.” The White Paper contains no explicit commitment to a net migration target figure, as currently exists, but rather contains the deeply nebulous commitment to “reduce annual net migration to sustainable levels.” ILPA would welcome further clarity on what the government believes a “sustainable level” of net migration to be. The White Paper makes clear that the EU Settlement Scheme will remain the basis of stay for EU citizens during the implementation period. Therefore, the UK will exit the EU on 29 March 2019. The Implementation Period is scheduled to run until 31 December 2020, during which current EU free movement rules will continue to apply. After 31 December 2020, EU citizens and their family members must apply under the EU Settlement Scheme. Such migrants will have until June 2021 to do so, provided the Implementation Period ends (as expected) on 31 December 2020. Confusingly, despite the rhetoric of creating a unified immigration system, the government expects the future rules to be “flexible and provide for different treatment for certain migrants”. It is particularly unclear as to why this would need to be the case since it is, in effect, the current immigration system. One of the potential justifications for differences in the way the immigration system treats certain migrants is “international or bilateral agreements,” which is the exact justification for the difference in treatment that exists between EU and non-EU migrants. Therefore, the government position is that they are seeking to end their international obligations stemming from the relevant EU Treaties, whilst simultaneously seeking to give effect to international obligations that may arise between non-EU trading partners. The justification of ending free movement to allegedly boost ‘skilled’ migration rings rather hollow. ILPA welcomes the government commitment to not imposing a cap on the numbers of skilled workers migrating to the UK. In order to facilitate this, employers will not have to carry out a resident labour market test, which is also welcomed by ILPA. The government have ambitiously stated that they anticipate skilled migrant applications to be processed “within two to three weeks.” ILPA would welcome further clarity from the Home Office as to how exactly UK Visas and Immigration will live up to this service standard. Given that UKVI routinely fail to meet their existing (longer) service standards, will the government commit to hiring and training significant numbers of caseworkers to meet this ambitious standard? The government recognises that there is a significant skills gap in the UK. Therefore, “in sectors like construction and social care”, a transitional and temporary measure will be introduced. This route will allow low-skilled migrants to come for a maximum period of 12-months, and contain a 12-month cooling off period to prevent further applications for leave from such migrants. Most importantly, ILPA notes that “the visa…will not carry entitlements to access public funds or rights to extend a stay, switch to other routes, bring dependants or lead to permanent settlement.” This is particularly perverse, as it is assumed that low-skilled migrants do not pay taxation. Migrants on work-based visas all pay tax on their UK earnings. It is therefore unclear as to what policy reason exists to deny people who pay for public services through general taxation the right to then access those self-same public services that are paid for through general taxation. At page 48 of the White Paper, the government suggests that it will accept the Migration Advisory Committee (MAC) recommendation that “the current minimum salary threshold of £30,000 should be maintained, to maximise economic contribution.” The government goes on to observe that “the MAC noted that 40% of existing jobs in the intermediate skills level meet the current salary thresholds and that £30,000 is the level of a household income at which an average family of EEA migrants starts making a positive contribution to public finances.” The most important thing to immediately note in this observation is that it is the minority of jobs (i.e. 40%) in the intermediate skills level that currently meet salary thresholds, the majority of such jobs (i.e. 60%) do not. It is unclear how this is not recognised as an immediate and unqualified threat to the UK economy. As noted, the government concedes that a skills gap exists in the care sector, since home care workers and support workers in nursing homes (SOC code 6145) are on the lower-skilled list. The MAC acknowledge the problem, and that the UK’s ageing population will require a workforce gap in the hundreds of thousands to be filled in the next twenty years. Nonetheless they consider the solution to be better financing of the social care sector so that the gap can be filled with domestic workers. This is despite their appreciation that EEA migrants contribute significantly more to the social care sector than they receive from it. ILPA do not disagree with the government’s recommendations to scrap the overall cap on Tier 2 migrants, to open up the number of roles covered by Tier 2 migration, to abolish the Resident Labour Market Test (RLMT) or lower the threshold for exemption from the RLMT, and to make in-country employer switches easier for Tier 2 migrants. Abolishing the RLMT, in particular, is likely to reduce burdens on the Home Office. Such a course of action will increase the number of applications by several orders of magnitude without reducing the administrative burden on the Home Office by a similar amount. Unless the Home Office drastically increase in number of staff and funding, the government’s proposed system will be plagued by delays at best, and be unworkable at worst – especially considering the ambitious “two to three weeks” processing target the government has given itself. The government plan to keep the current Tier 2 salary threshold (£30,000 p/a or the 25% earnings threshold of that occupation, whichever is higher). The current 25% salary threshold for qualified teachers in primary and secondary schools is £22,022. For nurses, the minimum salary does not reach £30,000 until they are at band 7: this is typically a specialist nurse in a particular area of medicine, or a ward manager with budgetary control and responsibility for management of the ward’s nursing staff. A £30,000 Tier 2 salary threshold will simply mean that Tier 2 will be incapable of responding to shortages in primary and secondary teaching and nursing at the junior end. In short, the government has chosen to completely ignore the contributions that key public sector employees, such as nurses and teachers, make to the UK economy (which is particularly concerning since more teachers will be required to plug the skills gap) which cannot be reflected in a crude measure such as their annual salary or access to pools of capital. 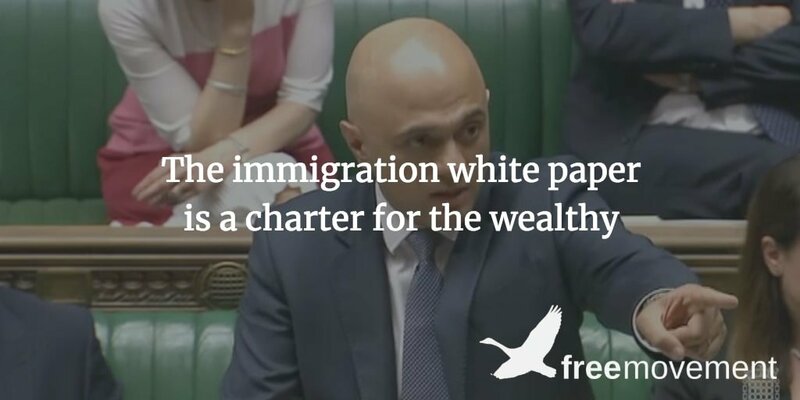 It is important to note that the government will continue to reserve immigration policy across the UK. This means that there are no plans to allow the devolved administrations in Scotland, Wales and Northern Ireland to set their own immigration policies in line with their bespoke needs. This is concerning as the median salary in e.g. Glasgow is £26,265 per annum, significantly short of the £30,000 salary threshold suggested by the government. Therefore, whilst the government proposes to allow the Devolved Administrations the opportunity to influence the UK-wide list of shortage occupations, “the government is committed to a single, skills-based future border and immigration system.” Committing to a salary threshold that is higher than the median salary of the entire United Kingdom (currently £28,677 per annum) can only function to privilege London and the South East. Therefore, the take away message seems to be that the overwhelming number of migrants on whom the Home Office collect data are ‘low-risk’. It is unclear why some countries can be classed as ‘low-risk’ whilst others cannot. ILPA submits that this distinction is in place to serve political expediency and reinforce detrimental structural stereotypes about certain cohorts of migrants. Not only this, but the government is seeking to commit to a visa-free Electronic Travel Authority. This system will allow ‘low-risk’ migrants to apply for leave to enter in country, and without the need for documentary leave to enter/remain. Such visitor permissions will last for six months. Strangely enough, it is anticipated that EU nationals will be recognised as qualifying ‘low-risk’ migrants. Thus, the position will shift from the current 3 months of free movement enjoyed by EU nationals, to a registered six months. At page 14 of the White Paper, the government states that “Our new digital checking service…makes it easier for employers, landlords and public service providers to confirm an individual’s rights and eligibility, based on their immigration status.” ILPA would welcome further transparency from the government on how their data matching with relevant government departments will work. Furthermore, it is unclear how the continued existence of an administrative burden on private citizens e.g. landlords, will function in a less discriminatory way than the current ‘hostile environment’ does. ILPA submits that if a landlord is already wary of renting to someone with a ‘foreign-sounding’ name, this reluctance will not evaporate in the face of an online checking tool. ILPA would also welcome further clarity on what remedies will be available to those migrants who have errors contained within their data. ILPA will continue to monitor the government’s proposals for the post-Brexit migration system and will engage with the extensive year-long review that the White Paper amounts to. We aim to provide a coherent and strong voice for our members, and will continue to raise concerns, welcome relevant proposals and highlight the contradictions and paradoxes that the post-Brexit migration system will, almost certainly, continue to throw up.